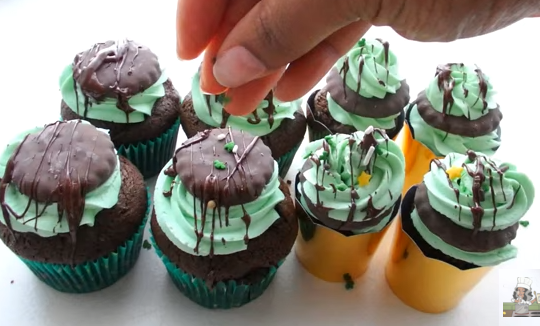 St. Patrick's Day is fast approaching - so I decided to do a St. Patrick's Day party treat video. 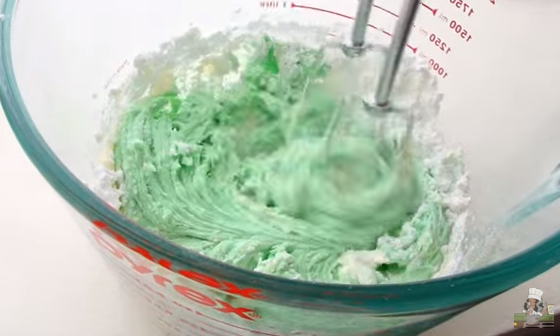 In the video we did Shamrock Shakes, Leprechaun Bark and Mint Chocolate Cupcakes. The cupcakes are made purely from scratch and are so delicious and easy to prepare. This rich chocolate cake is filled with a minty fudge filling and topped with mint buttercream and a mint chocolate cookie. 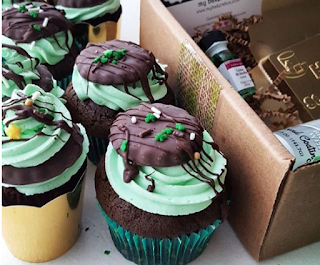 Altogether, this makes the perfect St. Patty's Day cupcake. Watch the video above to see how I made the cupcakes and other treats (Starting at 1:50). 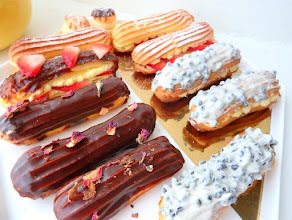 I'm also holding a giveaway provided by The Bakers Box. Everyone has a chance to win a one month free subscription! Watch the video above to enter. 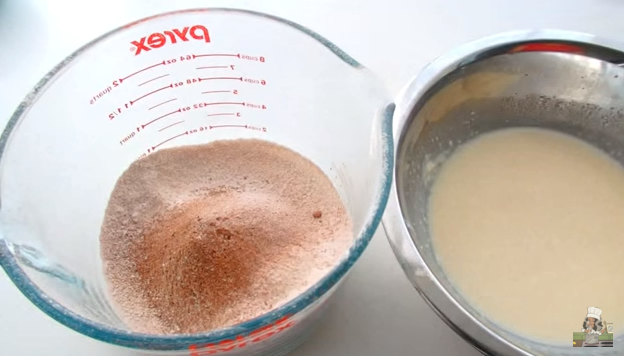 In a large bowl: Sift together all dry ingredients besides Sugar. 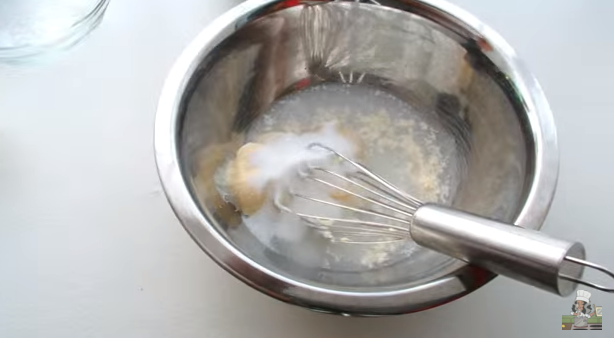 In a separate bowl combine mayonnaise, water, vanilla and sugar. Stir until combined. Add wet ingredients to dry while stirring until fully incorporated. 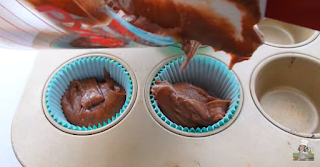 Spoon into the prepared cupcake pan and bake at 350 for about 17 minutes. 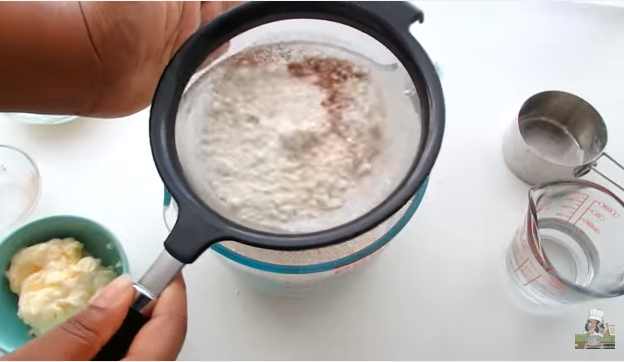 Pour the baking chips and milk into a microwave safe bowl. 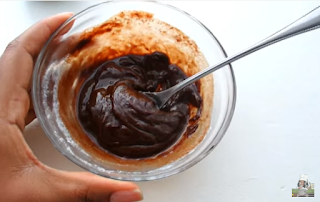 Microwave for 30-45 seconds or until chocolate has melted. 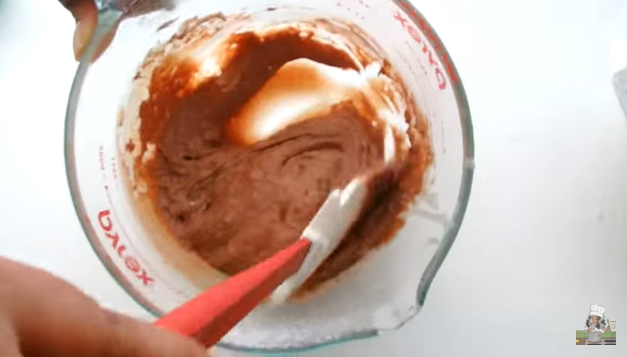 Stir until it reaches a smooth fudge like consistency. If there seems to be separation of liquids, add a splash more milk. It should resemble chocolate pudding. Set aside and prepare the frosting. 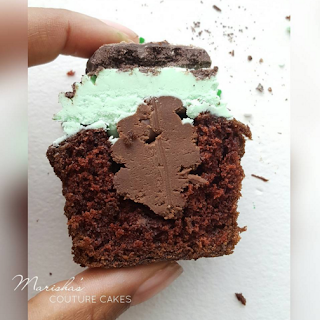 When it's completely cooled, put the fudge in a sandwich bag and snip the corner or a piping bag. Make sure the butter is room temperature. Combine the butter. dash of salt, vanilla and 1 cup of confectioners sugar to a mixing bowl. Mix for a couple of minutes until smooth. Add the last cup of powdered sugar and green gel dye. Continue to whip for about 5 minutes. Add to a piping bag with a large star tip or any tip of your choice. 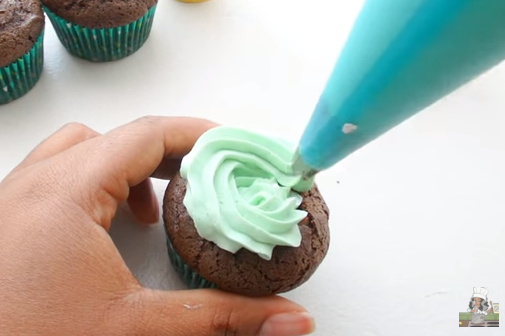 With a small knife, remove the center of the cupcake and fill with fudge frosting. You can then place a piece of the cake on top to act as a seal, or go ahead and pipe a dollop of buttercream to create an even surface. 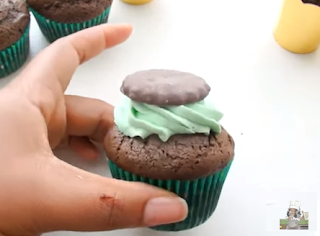 Pipe the buttercream in a large swirl and top with a mint chocolate cookie. Optional: Finish with a drizzle of chocolate, green sprinkles and chocolate jimmies. 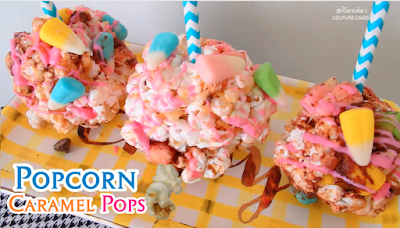 Join me on YouTube for loads of other fun treats!